I read this article and found it very interesting, thought it might be something for you. 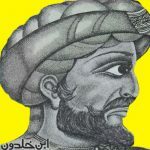 The article is called The Amazing Arab Scholar Who Beat Adam Smith by Half a Millennium and is located at http://evonomics.com/amazing-north-african-scholar-beat-adam-smith-half-millennium/. In one of the most seminal works in the field of history of economic thought (History of Economic Analysis, 1954), Joseph Schumpeter argued that there is a “Great Gap” in the history of economics. The concept justifies the general ignorance in economics curricula towards economic thinking between early Christian and Scholastic times, emphasizing the lack of relevant positive (“scientific”) economic thinking in this period. Thanks to this self-created gap the most outstanding islamic figure of the Middle Ages, the Andalusian scholar and politician Ibn Khaldun is neglected in mainstream textbooks (Screpanti and Zamagni 2005, Roncaglia 2005, Rothbard 2006, Blaug 1985). Several of these works often misleadingly start to identify the roots of modern theories with discussing the mercantilists or the Scottish Enlightenment. The truth is that these weren’t the beginning of economic thinking at all. The biggest merit of Khaldun lies in his revolutionary methodological thinking. He completely rejected the methodology of his ancestors, which made him the first “social scientist […] in the strictest meaning of that term” (Fonseca, 1988). Before Khaldun, the role of islamic historians was limited to transmit knowledge without modifying, editing or adding any remarks to the tradition. They never questioned the validity of stories, but analyzed the credibility of the transmitter quite carefully instead. Khaldun discarded the practice, stating the need for a new, scientific method which allows thinkers to separate true and fake historical information. But how to achieve that? According to him we should “investigate human social organization” to have “a sound yardstick” helping us to analyze society instead of accepting absurd stories of historians (Khaldun pp. 7-8). Khaldun highlights that this is a completely new, original and independent science, which hadn’t existed before (Khaldun p. 8). Khaldunian thinking may be embarassingly familiar to today’s economists. He states that the division of labor serves as the basis for any civilized society and identifies division of labor not only on the factory level but also in a social and international context as well. Khaldun highlights on the example of obtaining grain that division of labor creates surplus value: “Thus, he cannot do without a combination of many powers from among his fellow beings, if he is to obtain food for himself and for them. Through cooperation, the needs of a number of persons, many times greater than their own (number), can be satisfied” (Khaldun p. 87). His example of the division of production process is completely forgotten by economists and it’s not less expressive than the pin factory of Smith: “such include, for instance, the use of carvings for doors and chairs. Or one skillfully turns and shapes pieces of wood in a lathe, and then one puts these pieces together, so that they appear to the eye to be of one piece” (Khaldun p. 519). What is more: opposed to Smith, Khaldun doesn’t make any distinction between productive and unproductive work. Based on this it’s easy to understand that Ibn Khaldun presented very similar ideas as Adam Smith, but hundreds of years before the Western philosopher. But Khaldun said even more about the economy. He analyzed markets which arise based on the division of labor and examined market forces in a simple didactic way which is very similar to the attitude of Alfred Marshall. The invention of supply and demand analysis wasn’t invented in the 19th century: the islamic scholar also described the relationship of demand and supply, and also took the role of inventories and merchandise trade into account. He divided the economy into three parts (production, trade and public sector) since the market prices in his theory include wages, profits and taxes (Boulakia 1971). At the same time he analyzed market for goods, labor and land as well. This structured approach led Khaldun to invent the labor theory of value, which makes the islamic scholar a pre-marxian (or classical) thinker in this sense (Oweiss, 1988). His idea, that the produced value is zero if the labor input is zero seems surprisingly classical, far ahead of his time. In the dynamic Khaldunian model of economic development, the government plays a crucial role. Its policies, primarily taxation has a great effect on the development of a civilization. After the nomadic way of life tribes change to sedentary lifestyle, giving birth to urban civilization. The sedentary lifestyle demolishes the original group solidarity and creates a need for a new clientele. Creating a new group identity is costly and needs a new army as well. So with the deepening of urban civilization, and thanks to the increasing luxurious needs of the dynasty, the ruler has to increase taxes. In the end, tax rates become so high that the economy collapses. “It should be known that at the beginning of the dynasty, taxation yields a large revenue from small assessments. At the end of the dynasty, taxation yields a small revenue from large assessments” (Khaldun p. 352) – writes Khaldun, describing the micro incentives behind taxation as well. On the other hand, he rejects customs and government involvement in trade since the economic-political power of government is disproportionately large. These ideas are so unique in the Middle Ages, that even Ronald Reagan quoted Khaldun’s work stating that they had some friends in common, referring to Arthur Laffer. The reason for this was that even Laffer himself regarded Khaldun as a forerunner of supply-side economics and the Laffer-curve, although Khaldunian ideas have not much in common with the Laffer-curve. The reason is that these should be interpreted in time dimension rather than as a policy rule of thumb. So this narrative is not only false but illustrates how neoclassical economics forms economic history to justify its existence. These are unhistorical oversimplifications to create the story of a glorious and direct evolution towards neoclassicism as the most developed state of economic thinking. In this process, scholars of the past are neglected, tried to be integrated into the context of neoclassical history – or both. Finally, the ideas of the muslim philosopher anticipate ideas of Keynesian economic theories as well. Khaldun’s words are telling: “dynasty and government serve as the world’s greatest market place, providing the substance of civilization. Now, if the ruler holds on to property and revenue, or they are lost or not properly used by him, then the property in the possession of the ruler’s entourage will be small. Thus (when they stop spending), business slumps and commercial profits decline because of the shortage of capital”. “ […] Furthermore, money circulates between subjects and ruler, moving back and forth. Now, if the ruler keeps it to himself, it is lost to the subjects” (Khaldun p. 365). These are strong arguments for government spending in the context of 14th century North-Africa. Adam Smith as a Khaldunian thinker? Not only Khaldunian ideas, but the methodology behind them is also truly original, since it relies on abstraction and generalization. Khaldun gives us the economics of 14th century North-Africa and numerous relevant issues. He addresses questions for which we don’t have a single solution even in the 21th century. Khaldun helps us to bridge the gap in history of thought showing the importance of medieval islamic culture. He also helps to understand the relationship between islamic economics and other schools of thought being a theoretical common ancestor. It’s not known for certain that Adam Smith or any other classical scholar hadn’t been inspired by Khaldun’s work when developing their own theories. Among others we have to uncover this information – which lost in the Great Gap – as well, in order to discover a new narrative which is closer to reality. Blaug, M. 1985. Economic Theory in Retrospect. Cambridge: Cambridge University Press. Boulakia, J. D. C. 1971. “Ibn Khaldún: A Fourteenth-Century Economist”, Journal of Political Economy 79. No. 5: 1105-1118. Oweiss, I. M. 1988. “Ibn Khaldún, Father of Economics”. In Arab Civilization: Challenges and Responses, edited by Oweiss, I. M. – Atiyeh, G. N. New York: State University of New York Press. Roncaglia, A. 2005. The Wealth of Ideas. A History of Economic Thought. Cambridge: Cambridge University Press. Rothbard, M. N. 2006. Economic Thought Before Adam Smith. An Austrian Perspective on the History of Economic Thought. Brookfield Vt: Edward Elgar Publishing Ltd.